I often talk about how Hubby and I are polar opposites. In food and in life. And at the pizza shop. He is a crazy connoisseur of all things pizza and has his favorite shops and favorite toppings and even knows exactly what time to show up where for the freshest out of the oven pie and the best selection. He likes plain, Sicilian and Chicago. He likes ziti, onion rings, spicy fries and falafel balls ON (yes you read right ON!) his pizza. He also douses his pizza in tahina. Now I guess it&apos;s not really fair to say we don&apos;t have the same taste at the pizza place. I do like and eat everything as stated above - save for the tahina. I only use it when I am down to my crust cause tahina and cheese just irks me out. But I like tons more toppings that he wont even touch. Fried eggplant, caramelized onions, mushrooms, mushrooms and more mushrooms AND a whole-wheat-cheese-less-salad-slice will do me right when I am "watching" what I eat. Hubby is slightly offended by all this pizza heresy... and I am just plain sad because it keeps us from ordering lots of slices to share. 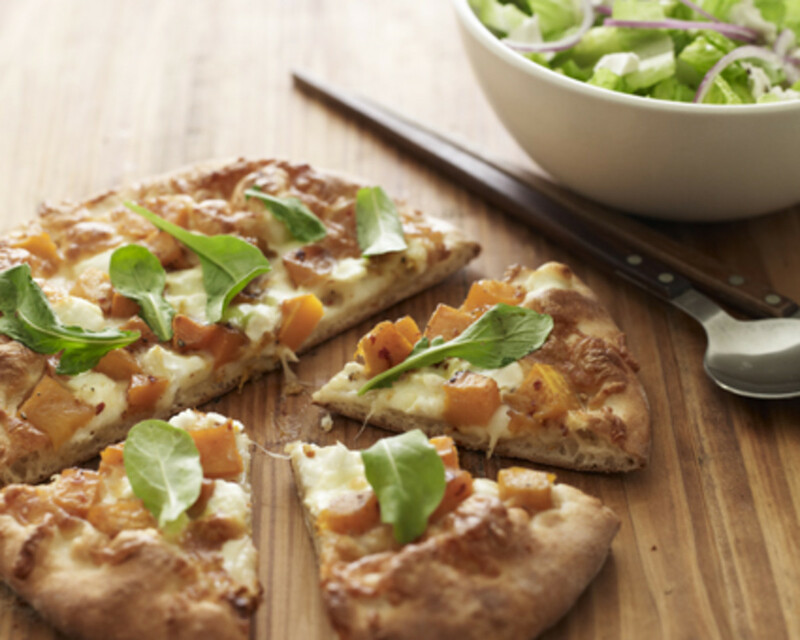 This butternut squash and arugula pizza though is thankfully all mine. I am not sharing and I am happy it&apos;s so not Hubby&apos;s thing because it is so special and spicy and savory and sweet and serves my party for 1 just perfectly. 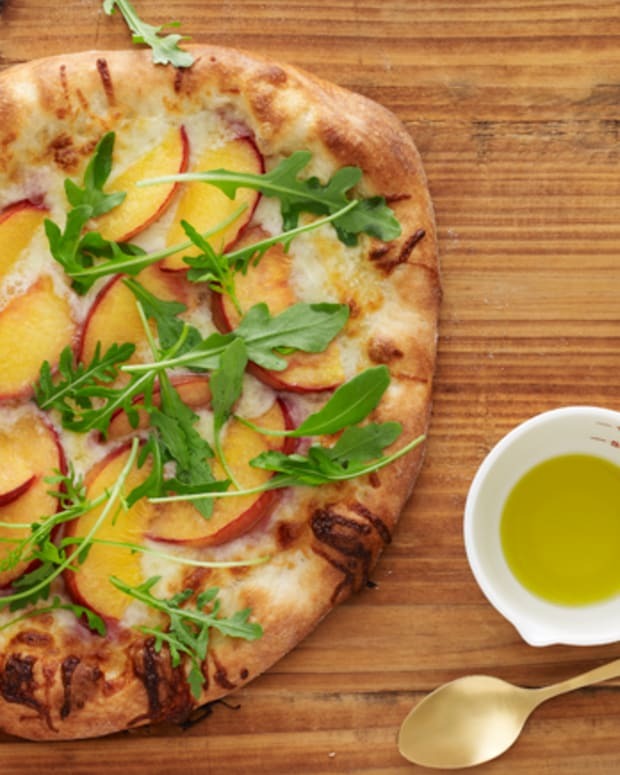 The goat cheese is creamy, and the fresh arugula add s a nice peppery bite to this masterpiece. 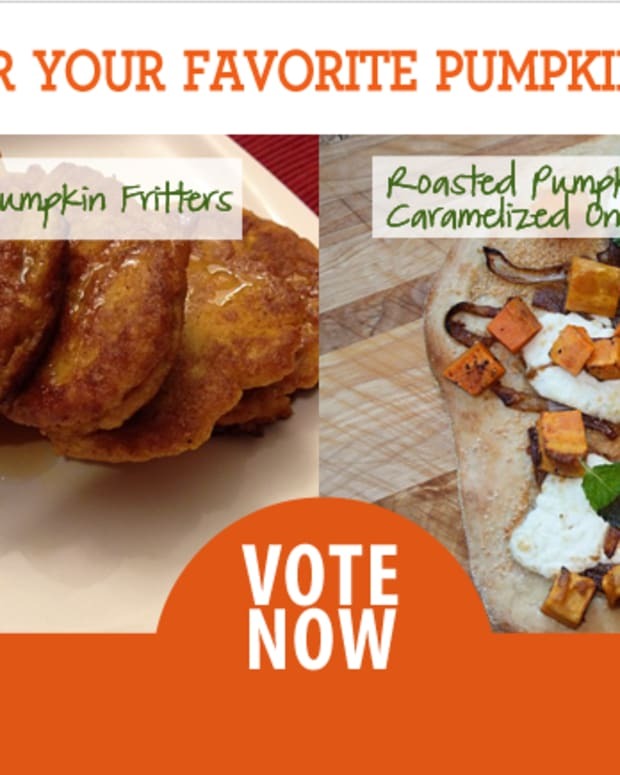 You can sub in pumpkin or sweet potato for the squash, ricotta for the goat cheese and can add caramelized red onions if you are so inclined. That would make it more like this recipe, Roasted Pumpkin Pizza with Caramelized Onion and Ricotta, which just happens to be the winner of last year&apos;s pumpkin recipe contest and it was crazy good! Made it for myself for lunch and then again for dinner. True story. 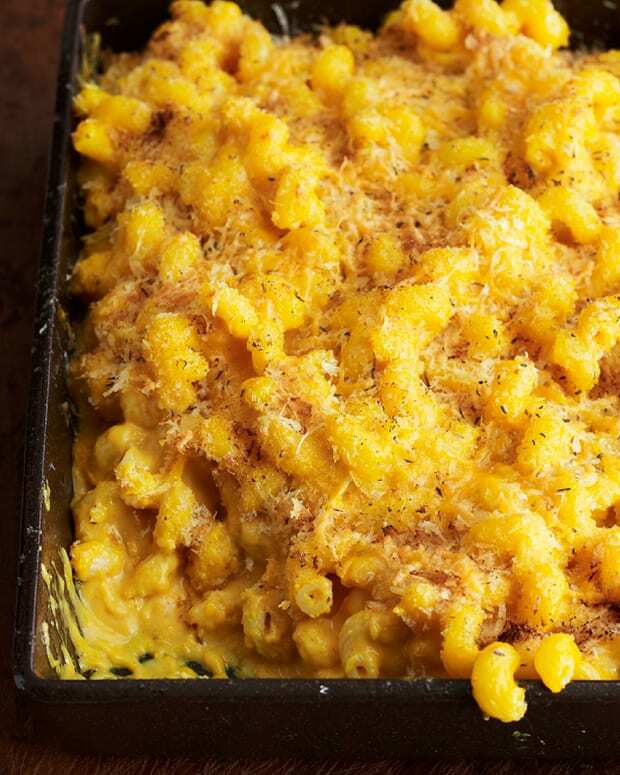 A quickie tip... if you don&apos;t feel like cubing and roasting the squash use canned pumpkin. Mix a can with the maple syrup, olive oil, red pepper flakes and a pinch of kosher salt and spread it on the dough like sauce. Sprinkle on the cheeses and bake as directed. Top with fresh arugula before serving. 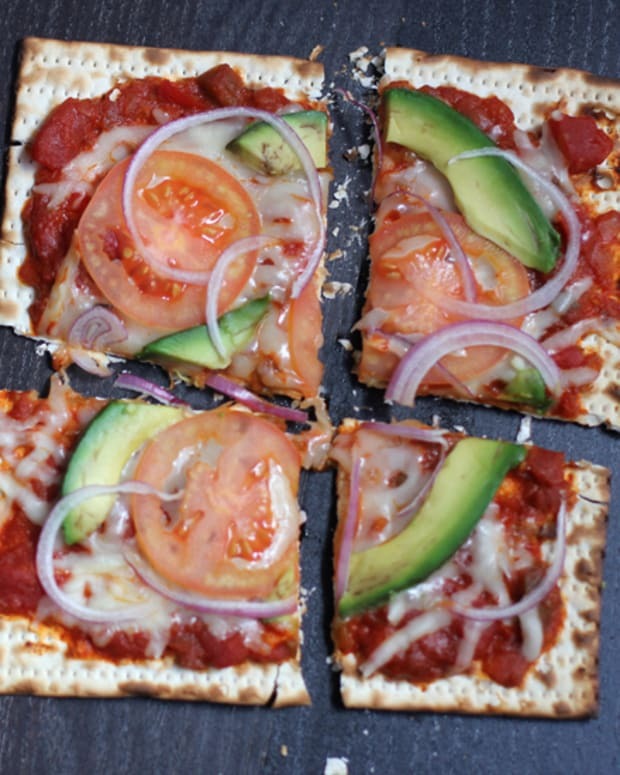 I&apos;ve gotta check the stores here in Israel to see if they carry the frozen pizza dough (does anyone know where I can pick some up?) if not I will swing by the shop and ask to buy a ball of raw dough. The shelves here in Israel are stocked with pumpkin, squash and sweet potato just like in the US. So it may not feel like fall here -- but I can still eat like it&apos;s fall. 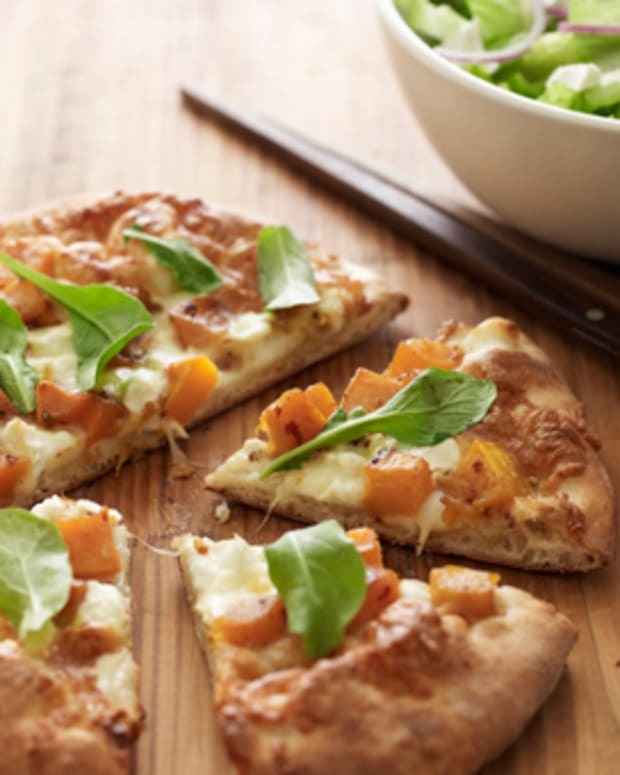 Enjoy my Butternut Squash and Arugula Pizza and make sure to let us know how it is in the comments.